Google has decided to give all those people a hand who enjoy spending their weekends lazing around and zooming around the Earth. They like looking for places that they have visited or wish to go to or think that they will never be able to see. If these people have already bought Google Earth Pro for $399, they will be extremely frustrated because the company has now announced that this product will be available for free to them from now on. 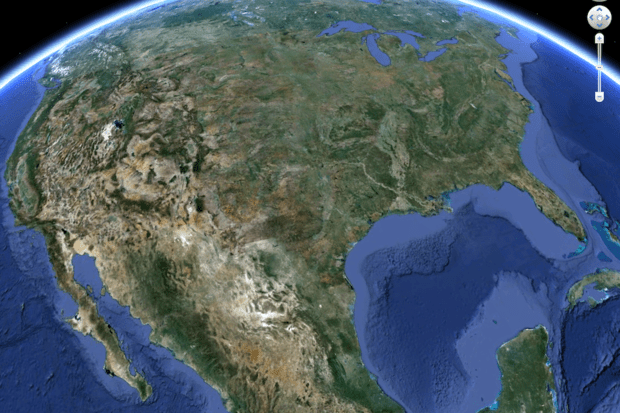 It is true that the search engine giant is now giving a $400 discount on Google Earth Pro. The primary reason for this move is that a large number of people weren’t making use of the service to make the revenue worthwhile. Therefore, the Mountain View firm decided that it would be a better choice to take advantage of the goodwill that it can get from making the service free. Either that or the firm wishes to use the capabilities of Google Earth in a larger way like a virtual-reality based announcement, which will enable people to travel the world in a more realistic way. So it may be better to make the service free for people. To be frank, there isn’t much that Google Earth Pro can do, which cannot be done by people by using Google Earth. Images can be printed by people at a much larger resolution as opposed to the earlier resolution. This would benefit a few of those people who may wish to make physical copies of whatever they see through the software tool. A huge number of addresses can be imported by people on Google Earth where they will be displayed as pins and it also allows people to record HD videos of their traveling ventures. With Google Earth Pro, it is also possible for people to measure the distance between different locations when they are planning out a route. Google posted on a blog that in the last ten years, Google Earth Pro had been used by hobbyists, scientists and businesses all over the world for a wide number of purposes such as keeping solar panels on rooftops to planning hikes and travel schedules. The features of Google Earth Pro are easy to use and provides a detailed image of Google Earth along with other tools that help people in printing high resolution images for reports or presentations, measuring 3D buildings and recording HD movies of their virtual trips all over the world. The problem that people may encounter is that they may still have to make some efforts in order to take advantage of free Google Earth Pro. First, they have to download the app and then obtain a free Pro key from Google for the software. Some basic information will have to be provided to the search engine giant in order to get the key they need in their email. Once they have done so, they will be ready to explore the Earth and have some fun with Google Earth Pro.